What better way to enjoy the festive season in the city centre that sitting down to a Christmas classic at the IFI? Whether it’s a festive tradition with family, or simply a couple of hours away from the hustle and bustle of the shops, the IFI has a host of Christmas classics and free archive screenings for all ages throughout December. 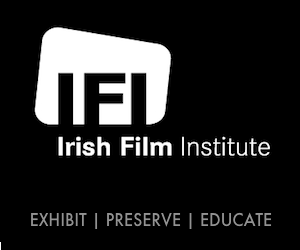 Give the purse-strings a rest over the festive season and catch free screenings of films from the IFI Irish Film Archive throughout December. This month’s theme is Ghosts of Christmas Past, featuring Double Piquet, the rarely seen film directed by composer/director Robert Wynne Simmons (The Outcasts) that tells the story of a visitor to an Irish country house who finds himself transported back in time to the scene of a cold-blooded murder at the card table. Also on offer is Amharc Eireann: Christmas Newsreel Compilation, festive extracts from Gael Linn’s newsreels; and Christmas Morning, Tiernan MacBride’s short film that tells the tale of the folk song ‘Arthur McBride’. Last but not least is Not a Bad Christmas, Enda Walsh’s first film which bears all the hallmarks of his dark, domestic humour as Santa chokes, dies and is buried in the garden pond. Archive at Lunchtime is on Mondays and Wednesdays with double bills on Saturdays (throughout December) and is a totally FREE event. Tickets for all the IFI Festive Favourites are available now at the IFI Box Office on 01 679 3477 or online. And don’t forget that there are hundreds of gift ideas for film lovers at the IFI Film Shop which has extended opening hours right up to Christmas Eve!